Does your restaurant celebrate National Small Business Week? If not, this year is a great time to start! As a tradition spanning over 50 years, National Small Business Week gives you the opportunity to celebrate small businesses and the contributions that they make to local communities and the national economy. This year, Small Business Week runs from April 30th – May 6th. How can your restaurant get involved? There are plenty of ways you can show your support and take part in this tradition. Try these five ideas! You started your restaurant for a reason — probably the same reason that motivates you to get out of bed in the morning, roll up your sleeves, and get the job done. Don’t keep your story a secret! Use your unique point of view as a way to stand out from the competition and get closer to your customers. This Small Business Week, take a moment to remind your customers and supporters why you do what you do. 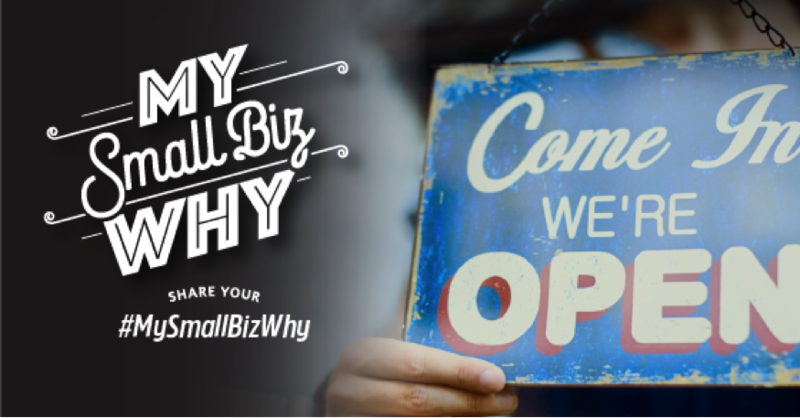 Join other small businesses and share your inspiration using the hashtag, #MySmallBizWhy. Plus, check out MySmallBizWhy.com and see what inspires other small businesses. With just a sentence or two — and maybe a quick photo — you can pull back the curtain and show your customers the heart of your business. Who makes your business possible? Maybe you’ve got a top-notch staff or die-hard customer base. Maybe you have a mentor you can always call when you hit a lull. Take a moment to step away from the day-to-day frenzy and show your appreciation. A face to face thank you is always great. But you can also write thank you cards, send an email to your supporters, or post a thank you on social media. If you’re comfortable in front of a camera, think about how you can get your message across in a short thank you video. Throughout Small Business Week, the SBA is hosting free webinars to help you learn new skills and increase your impact. If you prefer learning in person, you can find free marketing seminars and one-on–one coaching sessions with marketing experts during the month of May. Whether you want to learn about email marketing, social media, or search engine optimization, you can find a live seminar, led by a marketing expert. Are you close to other small businesses in your area? Strengthen your impact and reach a larger audience by joining forces this Small Business Week. For example, your restaurant could offer tasty treats to shoppers at the salon down the street and get your offerings in front of a brand new audience. Look to collaborate with businesses that reach a similar audience, so your products and services complement nicely. When you own a small business, the weeks fly by. Don’t miss out on Small Business Week just because you’re having a busy week. Get the word out to your supporters by sending an email announcing Small Business Week and encouraging your customers to support you. 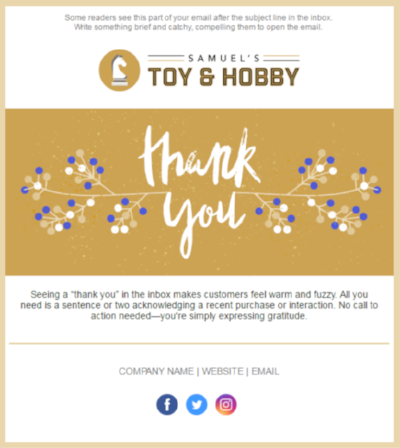 You can add a coupon to your email as a special thank you to your customers. Make Small Business Week feel extra special by switching up your menu for the week. If you need an easy way to update your menu online on all major listing sites, including: Google, Yelp, OpenTable, reach out to SinglePlatform to get started! Hopefully, these five ideas will guide you in the right direction this Small Business Week. No matter how you choose to celebrate, the most important thing is to recognize the incredible impact and contributions small businesses make all year long. Are you celebrating Small Business Week this year? Let us know your plans in the comments!